Stokell defied the odds to beat the more powerful GT2 machines and win the inaugural CAMS Australian Targa Championship last year through sheer consistency without experiencing a win in overall Modern Outright. “We’ve upgraded to the latest spec Exige. It’s now the same spec as Geoff Morton ran last year,” Stokell confirmed. “We are allowed a factory upgraded which has now been done. “But I haven’t driven it yet so I wouldn’t have a clue how good it is. It is hoped the change will drag the Lotus closer to the mighty Dodge Viper and the quick GT2 Porsches, while the new package puts Stokell’s machine on an even keel with Jeff Morton’s 2017 Lotus Exige. “I really don’t know how competitive we are going to be. We still have a car that hasn’t got DSG (electronically controlled direct shift sequential gearbox),” Stokell added. “It is still the standard Toyota gearbox and is quite slow in its gear change. Stokell will be joined by accomplished co-driver Kate Catford for the first time. The change has come after Kiwi Malcolm Read, who called the notes for Stokell at the last two events last year, will be unavailable for Targa Tasmania in late April due to a clashing Asia Pacific Rally Championship event in New Zealand. 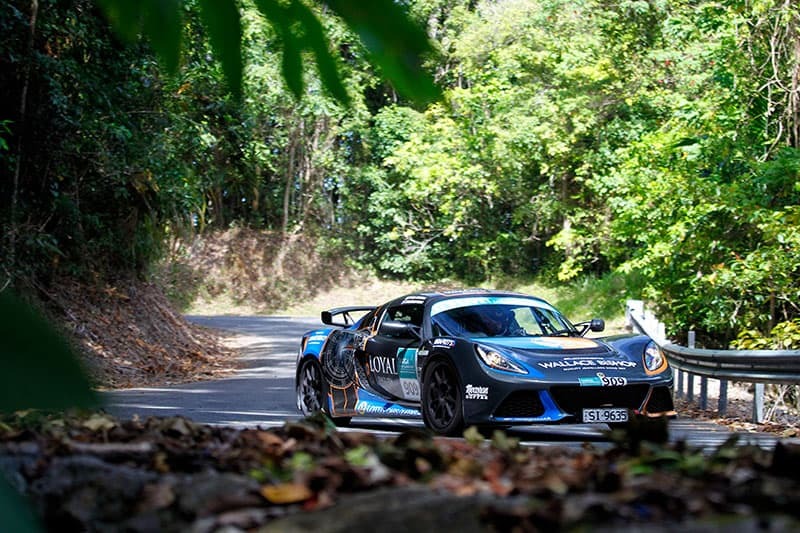 Stokell is looking forward to a solid start to the defence of his CAMS Australian Targa Championship campaign in the revised Lotus at Targa North West. “Because the Viper didn’t finish last year at North West we won GT2 and finished second outright,” Stokell said. “It will be interesting now to see what the changes give us in terms of performance and how close we can get to the Viper and top Porsches. The two-day Targa North West event is based out of Burnie starting on Saturday. It features six stages on Day 1 as it kicks off with the short 3.79km Montumana blast with the lunch stop at Stanley.